Mobil Lady’s win in Mahoning Valley’s Glacial Princess Stakes on November 17 was not only a eye-popping one for owner Laurie Pratt but a real shot in the arm for Ohio’s rejuvenated O.T.B.O. Fall Mixed Sale. Only ¾ of a length separated the top two at the wire in the six-furlong event for 2-year-old Accredited Ohio-breds. Christian Pilares and Mobil Lady head to post. Mobil Lady had been improving every start of her career until the sloppy John Galbreath Memorial at 1 1/16 miles. That head-scratching effort swayed the betting public when she returned to sprinting in the Glacial Princess and she was made the longest shot in the field at $17.50 to 1. Off a bit slowly under Christian Pilares, she began her move on the turn and then circled the field to edge to the lead late over the fast-closing Show Me Some Sass. Odds-on Hey Adrian, off two straight stakes victories, set most of the pace and finished third. The final time was 1:14.96 over a tiring sloppy track. 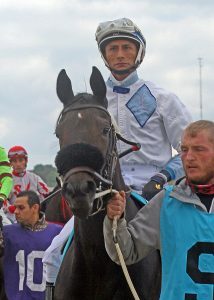 Trained by Robin Schuster, the juvenile filly is a daughter of Mobil out of Surviving New York by Survivalist and was bred by Daniel Gayle. Mobil Lady was consigned by Phantom Farms LLC and brought a final bid of $5,300 at the O.T.B.O. Fall Mixed Sale and now has earnings of $73,350. Show Me Some Sass was a $500.00 bargain at the sale consigned by Robert and Daniela Rowe and in five starts shows a $42,750 bankroll. These two stakes horses are going a long way in the promotion of the O.T.B.O. Fall Mixed Sale. Sometime change is good for a change. Heavenhasmynikki was the favorite in the $150,000 Best of Ohio Distaff and while she made a bold move into the lane to grab the second spot, she soon seemed to lose interest and had to settle for fourth. 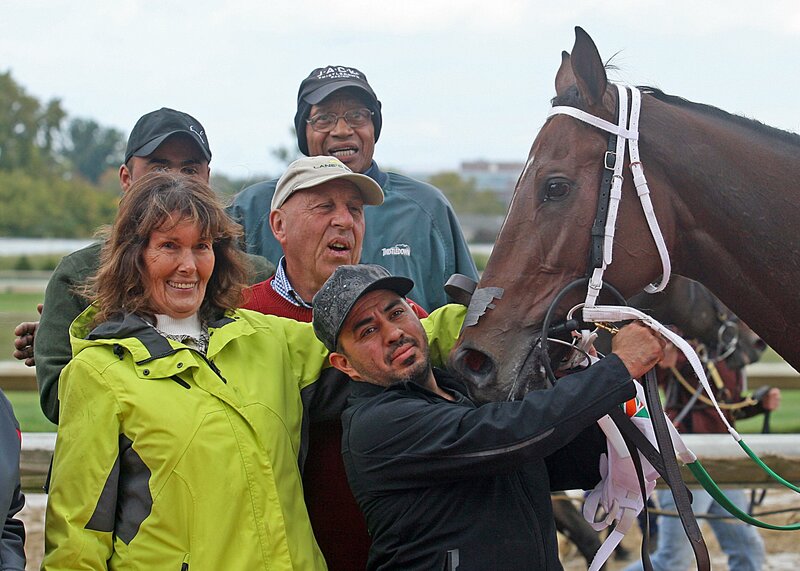 Trainer Gary Johnson, who had only had the striking chestnut filly for three starts, decided to equip her with blinkers and her bullet workout six days prior to $75,000 The First Lady showed she responded well to the change. Heavenhasmynikki and Calvin Borel prior to Kentucky Oaks. Sent away as the 4 to 5 favorite, Heavenhasmynikki rewarded her backers with an authoritative pace pressing win, drawing off with Luis Colon giving a few left handed taps as she drew away to finish up the 6 panels in 1:11.51. 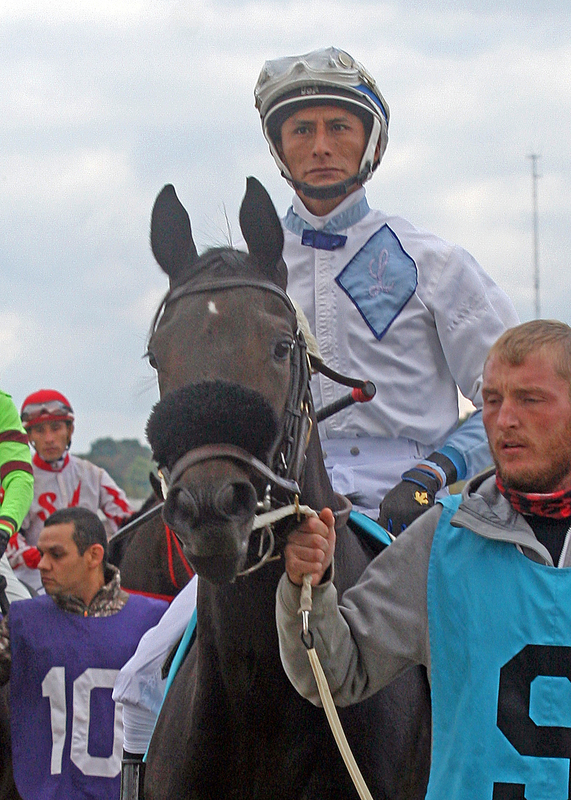 Queen City Oaks winner Magna Rose rallied from fifth for the place position over Emmy’s Candy. That win pushed Heavenhasmynikki’s earnings to $204,589. Loooch Racing Stables Inc. purchased “Nikki” for $150,000 as a yearling at Fasig-Tipton October in 2016. The daughter of Majestic Warrior out of Floral Park by Forest Wildcat was bred by Langsem Farm. The 3-year-old now sports a race record of 10-5-0-1. Earlier in the season she placed in the Grade 2 Davona Dale at Gulfstream Park. Owner-Breeder Nancy Lavrich with Altissimo. The 5-year-old Altissimo was recording his sixth win from eight starts in 2018 and pushed his career earnings to $454,388. The son of Noble Causeway out of Great Going Rose by Albert the Great was bred by Nancy Lavrich and Niknar Farm and is trained by Richard Zielinski.